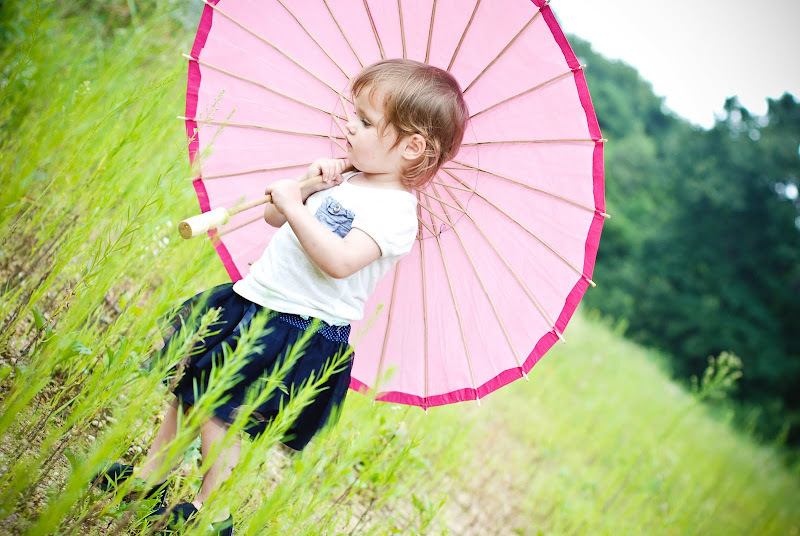 Just received the sweetest parasols in the mail the other day to use for my photography. These pictures make them look muted/pastel... but I assure you, they're bright and cheerful. Just took them outside, right as the cloud cover came. Charlotte thinks they are FUNNY... I'm not sure what it is with her, but she just laughs looking at them.... personally, they definitely make me smile, and I can't wait to use them. 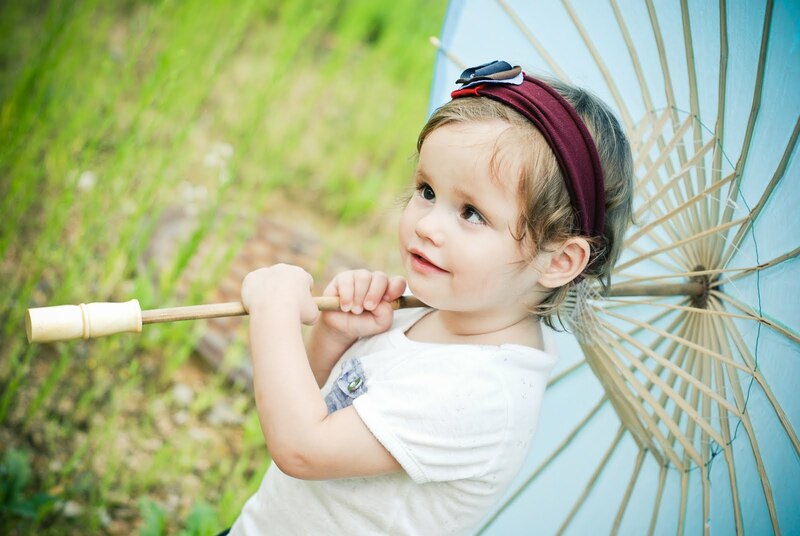 and this last shot is about 5 minutes into bringing the parasols outside... yup, it's time to go inside... she wanted to use it more so as a "sword" instead of a pretty sun shade. Is it just me or is Charlie gaining weight?!?!?! YAY!!!!! 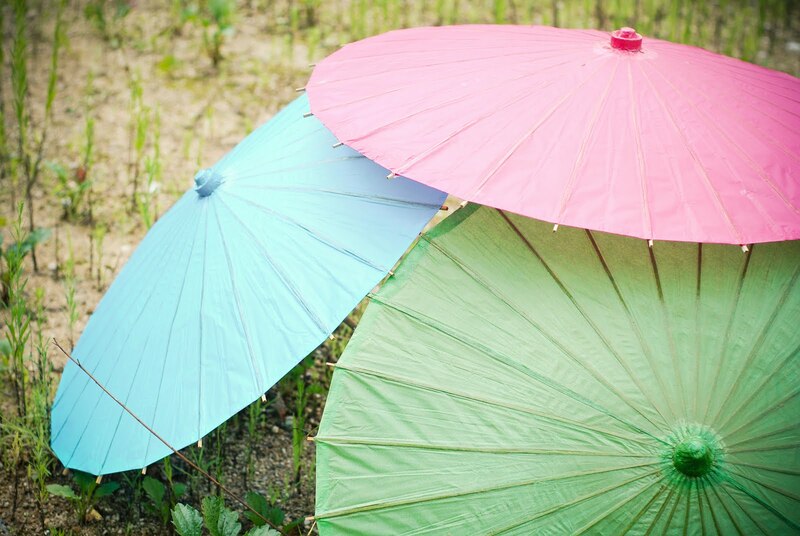 I had a friend (who is actually a Korean adopted into an American family) use bright yellow parasols for her wedding photos. They turned out gorgeous. Good call! Ok this is some serious cuteness! Is she wearing little tiny toms??? 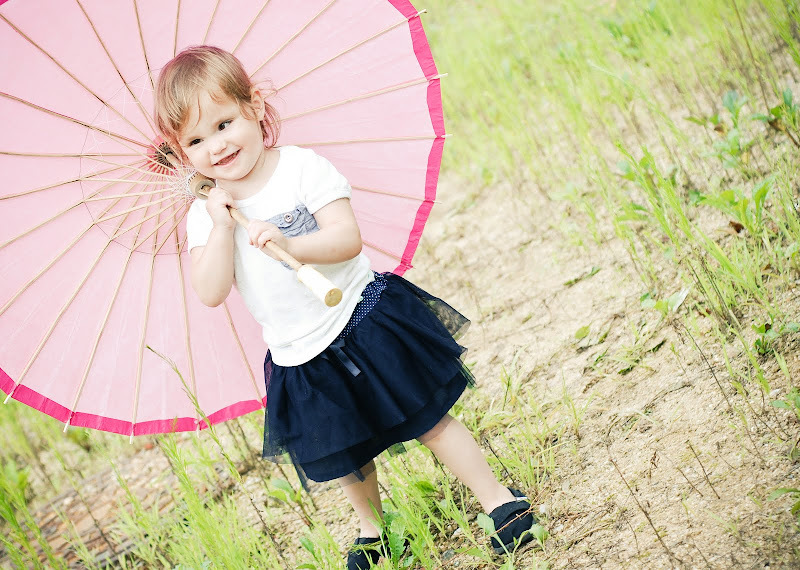 Love the umbrella idea too! 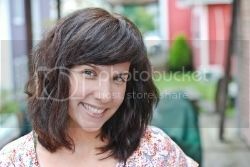 i think i've said this more than once, but she is soooo adorable! 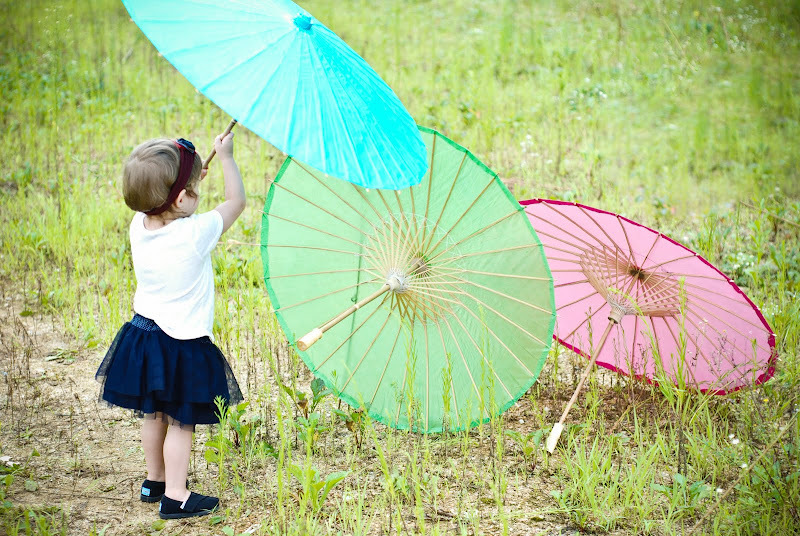 love this photo shoot with those pretty, colorful umbrellas!